Emil Altschuler received his BM from The Juilliard School under Dorothy DeLay and Naoko Tanaka, and his MM from The Yale School of Music, under Erick Friedman. He has served as Head of Strings for NEC’s Festival Youth Orcestra and as chamber music coach at the Continuing Education and Preparatory School. He is a Community Music Instructor at Tufts University, collaborates on the Tufts Composers and Faculty concerts and is also Violin Coach for the Tufts Youth Philharmonic. He is an instructor at Northeastern University and also teaches privately online. 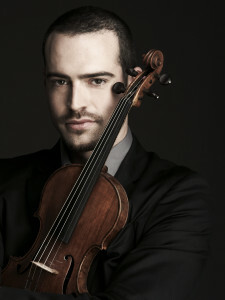 He regularly performs on concert series across the country with pianist, Thomas Pandolfi.